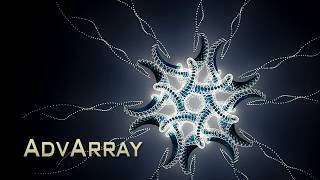 The AdvArray modifier is an advanced parametric array type modifier for Autodesk® 3ds Max®. Being that 3ds Max does not ship with any sort of parametric array modifier, I’ve programmed this modifier to fill that void as well as add a number of advanced array features not found in 3ds Max by default, and even some that cannot be found in other third party modifiers. Fixed an issue that caused 3ds Max to crash when adding multiple world space versions of the modifier. there was an issue with crash initially, but the developer responded right away and sorted out the issue! great support and great plugin! i did, however, encounter some viewport performance issues working with POLY, but developer suggested turning on "process as mesh" option, which dramatically speeds up the workflow for me. great plugin! The fix for your issue has been released, please let me know if you come across any other issues. thanks! Bummer, super sorry that you're getting the crashes. please contact me at tim_catalano@hotmail.com and i'll get the issue resolved for you. Bummer, super sorry that you&#39;re getting the crashes. please contact me at tim_catalano@hotmail.com and i&#39;ll get the issue resolved for you. I 've have the same problem in 3dsmax 2017. It works perfectly until adding AdvArray modifier once more. I &#39;ve have the same problem in 3dsmax 2017. It works perfectly until adding AdvArray modifier once more. I must say for such price it'a nobrainer. Liked performance a lot. Thank you for share. I've waited for such a modifier for so long ... you made it :) Should be a standard 3dsmax tool, it fills the gap between Clone modifier (simple things) and RailClone (very advanced things). Perfect, thanks a lot.